i love getting pictures and news of our danes working.. and the fact that all are having fun, getting such great care while they do an incredible job...there are soooo many pictures- many of service dogs upside down getting a belly rub. and i think bella's mom gets teh gold star for dog management... or maybe getting bella to manage george. whatever. the concept of fun without competition is a huge concept that is sorely missing in this U.S.of A.
what a relief- with the competition factor gone....no more "side eyes" -- my kid is better than your kid. it was a communal event and enjoyed by 1000 people in august.. kids spent the summer getting this dog and pony ( and pig and donkey) show together. i was a learning experience-- who knew kids could not stay on horses if the clown suit was made of silk? it was funny anyway... there was no such thing as failure !!! and let me be the first to tell you, you can not build a stone wall from the top down.... so the whole thing has to be piled up and let everyone try and stack them up again... it is in the shade.. perfect dog fest project.. stone wall building. it will be a project almost on camera-- to the right were the split rail ends. maybe anne will be here today to put us back in order... there is just too much to keep in my head. this is judy franchi-s invention... and let me tell you they were goooooood. Preheat oven to 375 degrees. Spray muffin tins lightly with cooking spray. Combine cream cheese; ranch dressing, wing sauce, honey and cheddar cheese. Stir in chicken. Layer your tins: one wonton in each muffin space and press it into the bottom. Spoon about a teaspoon (heaping) of the chicken mixture into the wonton. Add another wonton for each muffin space and press it down but not too hard. Add another spoonful of chicken mixture. Sprinkle with additional cheddar cheese and blue cheese. Bake for 18 minutes, checking after 10 minutes to be sure they are not too brown. If so, cover lightly with aluminum foil and cook for remaining time. Remove from oven and let cool 5 minutes. Use a knife to loosen around the edges. Place each in a paper or aluminum muffin liner. NOTE: You can add as much cheese on top as you want. These are approximate amounts because I do not measure it. Whatever your personal taste is. she brought those for sunday stew--- they were extremely good !!! consensus of opinion, having looked at the calendar for 2017, we will try breeding opal again.. i say try.. grommet had no trouble last time. When MOMMY NATURE designed dog reproduction, she must have had a few drinks first. large decision to make-- opal dripped 3 red drops yesterday--which means she is probably dripping more than 3 today as she comes in heat...now what ??? fact... noel is pregnant- with at least 2 maybe 3. maybe 13...but noel is not known for large litters... at least so far... she had 3, 4, and 1 stillborn.. the 31 we are now working with look great.. we have stashed one or two away for safe keeping to breed maybe in a couple years.leaving us 28 for megan and steve plus teh interns to deal with.these will be ready.. in all probability next fall-winter-- which means we would have only noel's 3 or 4 (? or 13) to train next december . if opal started yesterday, she would have to be bred before we know how many pups noel was carrying. SOUND FAMILIAR???? TRAINING--- we want to instill in the dogs that in harness/collar life is different than running around sniffing at everything.... we want a definite line of demarcation between work mode and play mode. because of that we need to get these interns organized better to start.. and from yesterday's observations--- when you have any dog on a leash, you wan t to be able to anticipate any unwanted behabvior before it happens.... so i want to see all these interns staring at the top of a dogs head- if they have them on leash--- even rope leashes.. and never a tight leash with them pulling you.. quick twitch of the leash and stand still til they stop pulling.. then a quiet "walk on" or take the leash off and say "ok" . i know alot more about it now.... there does exist an ok to flush list- a national list of pharmacies that will take old meds...most police stations take them-- and if that fails, there is a way to wrap them in bags of sand destroy the identification marks , tie the top and put them in a landfill ..
which makes me remember a converastion i had with DR BOB--( my daughters friend..phd bug nut) who is concerned all the food raised west of the rockies and consumed by people on the east coast lands in the atlantic ocean... when it should rightly land in the pacific. such problems i have to consider !! time to vent about hair----keeping in mind i had hair longer than anyone on the property --- so it is not just the legnth but the way it is kept... we can not have hair impairing your vision -- this concept has annoyed me with tv reporters but with us it can be a safety hazzard... if you have to use your hands to see where you are going you may not punch in here until it is in an elastic behind your head. we have one recipient - who shall remain anonymous - who was trimming her dogs nails and the dremmal drill caught afew strands of hair and twisted it's way right up into her face while it also kept the on button ..on..
when i looked it up online, i noticed the people vitamins that bragged about feeling better had caffene in them !! apparently dogs don't need caffene. now do you want to talk about med insurance / drug companies and canada???? license to steal??? ... the reason pill bottles are on my desk... and usually upside down... is they are empty.... to remind me to get more- so aside from swallowing the plastic bottle, it should not pose a poison problem. ADVERTISING-- I GOT ON MY TREADMILL AND FIGURED I WOULD TRY AND TEAD WHILE ONE BUNCH OF ADS RAN-- I STARTED WHEN NEWS QUIT... AND STRUGGLED FOR 4 MINUTES OF ADSW... THEN I RESTED WHILE 2 MINUTES OF NEWS AND MORE ADS STARTED TO COME ON !!! IS THAT A REAL RATIO ???? 4 to 2?? i am reminded of the veteran and his 140 pills a day.. i can totally see how it happens-- he goes to the VA sore toe? take pill A --makes you sleepy?, take pill B, can't sleep? pill C and .. no one collects A+B+C --->Z the capability is there why is it not done.? how many more musicians do we have to loose in elevators before we have a databank of drug combinations. i was going to have my slice of incidental intelligence today be about the things that are getting lost- at least in my world-- like how to can preserves for the winter and how to make jelly. my paternal grandmother was a good cook-- her chicken and gravy was real before there was monosodiumgultamate to make your mouth water... she fed 5 kids-off a farm- sent them to school in a pony cart---and " did up" preserves to get thru the winter-- no supermarket full then... i suspect my mother became such a good cook to outdo her mother-in-law's constant presence in the kitchen. my father had a "farm equipment" business -- tractors and such-- very often/constantly/ farmers paid him in bushels of produce-- which meant mother had to deal - it was wartime- you didn't waste anything. and we had a "victory garden"- we ate well. you also didn't have a freezer-- so mother hired a "box" in newburgh's commercial freezer company.. we peeled and she boiled and packaged corn, peas and lima beans in little white sears roebuck bags which we then took to the commercial freezer about 4 miles away where we put on someone's old overcoat to go in and find our box and leave-- or retrieve these bags. i must have been very little because the coats were huge. more fun was the relish and jam production which she kept in our preserve closet-in the cellar all neatly labeled/with the date. lotsa strawberry jam and some blackrasberry-- that we had picked... there were carrots and potatoes in sand too. when my 2 sisters and i broke up my parents house-- we picked things to keep--- i chose to keep mother recipie file- and back when i was raising kids, i used it-- and ...believe it or not... i canned and froze much the same way. they figure they don't need it to feed themselves???? everybody tells me janine stories i never get to hear-- now...i find they are ON FACEBOOK...----her "day 4 of my vacation " IS A story of rescuing horses and donkeys out of the slaughter pens in nj and penna, she has been writing - as i do- the normal things that happen to people like us.... like chasing a wild donkey around when you have no rope so your bra becomes the rope. training wanda to remain motionless in a laundry basket as she gets into motels that don't have sheets with 1000 thread count... i guess you get to it by facebook and then janine jacques and " day 4.. "..Things just happen to her... so she wrote about htem. I STILL DON'T KONW WHAT PART OF THIS RESCUE STORY IS ABOUT TO LANDHERE--SOMEHOW SHE FOUND A HOME FOR THEMOM WITH THE BABY WITH DEFORMED LEGS.. I THINK.. SO I DON'T KNOW WHAT WE ARE GETTING.. LET ME TELLHER VERY CLEARLY... THERE ARE ONES NOT LEAVING... LIKE MAUDE AND POCKETS... I AM A ILTTLE WORRIED ABOUT WHAT SHE WANTS TO DO WITH BUDDY-- A FREIND OF HERS HAS HIM AND IS SUPPOSED TO BE HALTER BREAKING HIM SO WE CAN TAKE HIM IN TH E PICKUP TO PEASE AS A GREETER.. I HAVE SEEN NO PROGRESS. bugs---someone said the world would be taken over by insects-- and i don't doubt it one bit. we had a dead tree30 inches in diameter and when we cut it down ... the middle was totally hollow of tree stuff, and full of ants-- to the delight of the guinnea hens..
i placed the MM about 6 feet outside the old deagle house because poor deagle ( dog) was covered as was his ceiling...... first night i caught 4 in the MM - so i had to do something..
.i got one of those 24"window fans and put it in his door to blow the mosquitos out-- which worked pretty well-- not as many stuck to his ceiling-- then i figured why blow them away when i could catch them in a fine net?- so i made a cone shape net and tye wrapped it to the fan to catch whatever went thru the fan... next morning , i had thousands --- about a fluffy cup full-- all still alive- so i quickly got my trusty Raid and soaked them with spray. and set them on the roof of the deagle house. i checked the Mosquito magnet-- and there maybe 7 individual bugs-- i reloaded the "attractant" thinking maybe .... and set it working again.. i checked my Raid soaked thousands -- and they were still all alive and crawling-- so i put it on the ground and stepped on them -- dead. the mm was loaded and my fan was set-- for the next night-- i got virtually nothing with the MM and even more mosquitos with a higher collection of moths.. i twisted teh net---another quick spray of Raid and l left them on the roof -- they enjoyed the sunbath for many hours- not dying til a well placed foot ended thier vacation. and i bet my nets have been thrown away by fall they get pretty messy.-- i will try mosquito netting on line... they must have it. I HAD AN OVERLOAD OF NEGATIVE FEEDBACK ABOUT THE DOG LAWYER.. HE HAD AN IMPRESSIVE BUSINESS CARD..
" A PIECE OF PAPER WILL HOLD STILL AND YOU CAN PUT ANYTHING ON IT." I STLL THINK TOWNS OUGHT TO HAVE A DOG PARK BUT APPARENTLY HE IS NOT THE ONE TO TANGO WITH. THIS DEPENDENCY BIT IS NEW TO ME-- WELL---- AS OPPOSED TO 10 YEARS AGO.. REGARDLESS OF WHAT HAPPEED 10 YEARS AGO I KNEW I COUOD GET EVERYONE FED, COMFORTABLE AND REALTIVELY CLEAN ALL BY MYSELF.. DEFINITELY NOT TRUE ANYMORE. WE GREW UP !! YESTERDAY I GOT AN AD IN THE MAIL FOR "BOSTON DOG LAWYERS"---- NEW ON ON ME-- THEY ADVERTISE ABOUT MANY THINGS ONCE DEEMED AKWARD AND DOG OWNERS JUST TOOK THE BACK SEAT-- LIFE IS CHANGING .. AND I DO HAVE ONE THING I WILL DISCUSS WITH THEM... WHEN A TOWN PASSES A LEASH LAW- I THINK IT SHOULD BE MANDATORY THAT THEY HAVE AND MAINTAIN A DOG PARK FOR EVERY XXXXX NUMBER OF DOGS IN THE TOWN. OTHERWISE YOU ARE CONDEMNING ALL THE DOGS TO LIFE ON A LEASH AND NO PLACE TO RUN EVEN FOR A FEW MINUTES. LET ME REMIND EVERYONE THAT DOG OWNERS PAY TAXES TOO. LET ME ALSO REMIND THEM THAT A POO PICKER IN THEIR BACK POCKET WOULD CURE A LOT OF THE ARGUEMENTS NON DOG OWNERS HAVE. MUST ELIMINATE THE "SOFT STEP" OF DOG OWNERSHIP. THE TOWNS ALWAYS MAINTAIN SOME PLAYGROUNDS FOR KIDS--- WELL---- KIDS CAUSE MORE TROUBLE FOR THE TOWN THAN ANY DOG EVER DID. THERE IS ONE OTHER ISSUE I DISCUSSED LATELY - I FORGET WITH WHOM....IF 2 DOGS GET IN A FIGHT, REGARDLESS OF WHO STARTED IT....IT IS ALWAYS THE BIGGER DOG THAT WAS WRONG. I KNOW THAT AROUND HERE... WANDA STARTS A FENCE FIGHT, AND WE YELL AT THE DANES. WHILE SHE RUNS OFF AND SNICKERS. 2 FUNERALS , ONE VACATION AND ONE PREGNANCY MEANS WE WILL BE A LITTLE SHORT STAFFED... SO DON'T STAY HOME WONDERING WHAT TO DO !!! JUST WANTED TO RUN BY YOU AN ALTERNATIVE TO A SWIFFER FOR DOING FLOORS. I JUST SWITCHED TO THE PROMIST BY O-CEDAR. I LOVE IT. IT USES A REFILLABLE BOTTLE, THAT YOU CAN PUT YOUR OWN SOLUTION IN - I USE WATER AND 2 TSPS. OF A CONCENTRATED FLOOR CLEANER. THAN IT HAS A WASHABLE MICROFIBRE PAD - BUT APPARENTLY YOU CAN ALSO GET THROW-AWAY PADS FOR IT AS WELL. AND NO BATTERIES NEEDED FOR THE SPRAYER! IT CERTAINLY IS MORE ECONOMICAL, AND ALSO HAS THE BENEFITS OF USING A BLEACH SOLUTION IF NEEDED, ETC. PLUS THE WHOLE MOP IS MORE STURDY. I AM IN CANADA, AND HERE THE COMPANY IS CALLED VILEDA. HAD TO SEARCH FOR THE SAME PRODUCT IN THE STATES! THERE IS A WOMAN HERE ON THE CAPE THAT HAS A SMALL WIG BUSINESS. I HAD AN APPOINTMENT WITH HER TODAY AND I CAN SAY THAT HER SHOP WAS REALLY, REALLY SMALL. NOT REALLY MUCH ROOM TO PUT IVY IN A DOWN STAY. I LET IVY STAY BY MY SIDE. HER TAIL WAS GOING A MILE A MINUTE AND ALL DREW AND I COULD THINK OF WAS THAT ALL OF THE STYROFOAM HEADS WITH WIGS AND HEADPIECES WERE GOING TO GO FLYING OFF OF ALL THE SHELVES. I AM HAPPY TO REPORT THAT NOTHING BAD HAPPENED AND THE OWNER JUST FELL IN LOVE WITH IVY. I THEN TOLD HER ABOUT SDP AND EVENTUALLY GOT HER TO LOG ONTO THE EXPLORE WEBSITE. MAYBE A NEW CHICKEN BRICK CONTRIBUTOR. ONE CAN ONLY HOPE. i saw an interview on cnn-- i forget the author... but i immediately went and bought his book "tribe" -- i think his assumption is absolutely correct.. i copied the blurb from the book flap here..... he is intent on explaining ptsd... but i think it goes way beyond war situations. Tribe---We have a strong instinct to belong to small groups defined by clear purpose and understanding - "tribes". This tribal connection has been largely lost in modern society, but regaining it may be the key to our psychological survival. Decades before the American Revolution, Benjamin Franklin lamented that English settlers were constantly fleeing over to the Indians - but Indians almost never did the same. Tribal society has been exerting an almost gravitational pull on Westerners for hundreds of years, and the reason lies deep in our evolutionary past as a communal species. The most recent example of that attraction is combat veterans who come home to find themselves missing the incredibly intimate bonds of platoon life. The loss of closeness that comes at the end of deployment may explain the high rates of post-traumatic stress disorder suffered by military veterans today. it is "free money" but alot of suffering over split infinitives goes into it. anne and i are a great pair... she undangles the participles i dangle. so that leaves anne and i trying to describe the support of crazy acres in more business like terms.. it ain't easy. we have to eat alot of lunches in the process. noel's ultrasound showed 2 heartbeats in one frame-- so we know she has -- at the moment --- 2 live pups in her. he thought he saw a third-- but an ultrasound is not all that easy to read.. there could be 13 more or the 3rd was one of the first 2 at a different angle. i believe george told me that at 25 days the fetus is about the size of a walnut-- and that is a big dog- so they can hide. i send this unfortune results in the hopes that other dog parents don't make the same mistake that we did. We had heard the same thing, "use a dryer sheet tucked in your pocket to repel mosquitoes", from several people. While sitting outisde one summer evening several years ago, we slipped a dryer sheet under the collar of our Golden Retriever, Abby, as the mosquitoes seemed to "like" her. After about 15 minutes she began panting more than normal so we removed the dryer sheet & took her into the house. Then her eyes rolled back and she collapsed. We made an emergency trip to the vet and he determined that she was in anaphylactic shock. He was able to treat her and together we determined that the dryer sheet was the cause. We had used the dryer sheets ourselves with mediocre success as a bug repellant. We naively thought that the dryer sheet would work for Abby. Needless to say, fabric softener dryer sheets are no longer allowed in our home. i did google it an d there is some discussion about dogs alergic reaction- we do use dryer sheets... and don't seem to have a major problem... but we do have unexplained minor events around here-- so with that in mind.. i went out to amaozon wish list and put the unscented non alergic dryer sheets out there. course they are talking abou human alergies..could be a different story about dogs alergies.-- i am sorry to doo that... because the dryer venting into the arena is like a giant air freshner as it is under the deck of the house.. ---- both places are in dire need of freshening.....we can try for a while and see what happens. or just add some fabreese to the dryer. SO... if you watch the ads for fabreeze today, they always have a dog in them. THAT STORY WAS KIND OF MY INTRODUCTION TO The capabilities of the internet/facebook. the 25th of the month-- 30 days hath september so may has 31.. luckily so.. i always begin to panic about selling out the chicken bricks- but so far you all seem to do that !!! thank you. well it certainly is one of them.. i am totally enjoying the crazy old lady image when i can say and do a lot of things i never would have 30 years ago. both are time when i just threw caution to the wind and vented directly..
and bella is a gem...bright - capable -- funny-- good kid. she falls down and we all stand around and watch her get up on her own... and she does... mentally and physically. most of the folk who come here are recovering from being told they have a progressive problem. some realize life is a progressive problem-- and get on with it. others latch onto the latin label some doctor has given them ... like it is a fancy earned degree. i try----sometimes not too hard..----but when i ask someone if they work and they say- with authority 'i can't work i am disabled"- i always go on with "do you volunteer anywhere?" and if that is no also i go on with "why not ?" because no one has been here yet that i can't figure out some way to contribute something to someone.. i have not been confronted with helen keller yet... but there is always something- you are not entitled to a dog just because you are disabled. well there was one guy-- a veteran--who did not work or volunteer because the VA had him on 140 pills a day and he spent all his time keeping that straight so he had no tine for anything else... plus he was slightly "mulled"
then there is grant writing--- early sandy and anne are to thnak for the 100,000 from cummings ---- ok everybody... go find us more...jaffee award is what we are doing next---at the moment. someone has a 2 million grant to try and figure out if the servvice dog cures ptsd-- or just covers it up... and i di d see somewhere that they were studying 50 dogs and partners.-- small sample !! wonderful ! we could have given them a bunch of useless stats for $1,999,999.. which just goes to show we need to pay more attention to free money... we are squeeky clean- do a great job- and are amusing.. so eerybody keep your eyes open fo theings to nominat us for-- and i will try and get people to deal with the paperwork..
VENTING TIME.... EXCEPT I BETTER NOT. THAT IS MY JOB !! IT WOULD BE WONDERFUL IF THEY COULD GET SOMEOFF BEAT DISCUSSION GOING....BUT IT WAS ONLY A "BLUE TOWELS WERE ON SALE YESTERDAY AT ALMY'S" TYPE DISCUSSION. THIS IS MY WAY OF DESCRIBING A TOTALLY DEAD END CONVERSATION. MAYBE I JUST DON'T UNDERSTAND-- BUT WHAT IS THE VALUE OF INFORMATION ON YESTERDAY'S SALE FOR BLUE TOWELS WHICH I DON'T NEED?? THE FIRST WORLD TRAVELING I CAN REMEMBER WITHOUT PARENTAL APPROVAL I WAS 10 YEARS OLD...,.. I HAD 50 CENTS SO I TOOK THE THIRD STREET BUS TO THE RIVER (10 CENTS) AND GOT ON THAT FERRY ( ANOTHER 10 CENTS) AND WENT TO BEACON ALL BY MYSELF.. I CAME HOME WITH 10 CENTS LEFT AND FELT VERY PLEASED WITH MYSELF AND DIDN'T SAY A WORD FOR YEARS !!! NOW KIDS CAN'T EVEN GO 2 BLOCKS TO THE PARK WITHOUT THE SUPERVISION OF A BODYGUARD WITH A GUN.. SO THEY GO VIRTUALLY ON THEIR IPADS.. AND WE,OLD PEOPLE, WONDER WHAT WILL HAPPEN IF THEY GROW UP TO NEED TO CHANGE A LIGHTBULB.. THERE IS A REALITY MISSING. I AM TOLD BY MY DAUGHTER THAT HER HORSES WILL BE GOING TO HER HOUSE... AND WE WILL BE HAVING A TINY HORSE MOMMY AND HER BABY WHICH GOT TOSSED IN THE SLAUGHTER PEN IN TEXAS... BECAUSE IT WAS THE SECOND FOAL SHE HAD WITH DEFORMED LEGS.... I DO NOT HAVE A CLUE HOW DEFORMED.. THE PICTURE I HAVE SEEN IS A CUTE LITTLE THING BUT THE LEGS DON'T SHOW. IT SEEMS TO BE STANDING ALL RIGHT.. HERE WE GO ON ANOTHER CRAZY JOURNEY..
AS LONG AS THE FOAL CAN MANAGE - DEFORMED LEGS WILL NOT BOTHER US-- HOW COULD THAY WHEN I CONSIDER THESE TINY HORSES FAR FROM BEING NORMALLY FORMED. WHAT DO I KNOW? NOT MUCH. THE CUMMINGS CENTER IS THAT HUGE "COMPLEX" THAT USED TO BE ?UNITED SHOE MFG? I MEAN HUGE--- WITH LLLLLOOONNGGG CORREDORS---MIGHT BE FUN TO HAVE A MEGAN MARCH WITH A LITTER OF PUPS DOWN ONE AS A FUNDRAISER THANK YOU... WE COULD DO THAT.... AS SOON AS WE HAVE SOME PUPS. WE HAVE AN APPLICANT HERE NOW-- PARKINSONS--- CAME IN WITH A VERY IMPRESSIVE YELLOW WALKER, AND HAPPILY YESTERDAY I SAW IT LEFT BEHIND AS SHE WALKED AROUND WITH ONE HAND IN HER HUSBANDS BACK POCKET -- THAT CONCEPT IS PERHAPS MY BRILLIANT IDEA FOR THE MEDICAL COMMUNITY--- DOCTORS GET INTO THE CANE/WALKER/WHEELCHAIR PROGRESSION MUCH SOONER THAN NECESSARY IF THE PERSON HAS ANY KIND OF PARTNER WITH STURDY BLUE JEANS. PLUS IT APPROXIMATES THE FEEL OF A SERVICE DOG. IN MY EXPERIENCE I HAVE FACED SO MANY MUNDANE INCAPACITATING EVENTS THA I MARVEL AT ANYONE WHO CAN PULL OFF ANYTHING FLAWLESLY- LIKE THE GUY IN NORHT KOREA TO HAVE ALL THOSE MEN MARCHING SO PERFECTLY- WITHOUT ONE FAINTING...TWISTING AN ANKLE...OR VOMITING. ---THINGS LIKE A PERFECTLY PERFORMING 747 WITH A PIGEON STUCK IN AN ENGINE AT TAKE OFF. A HUGE EFFORT. CAN'T WE COME UP WITH A GOVT GRANT TO FIGURE OUT HOW TO ELIMINATE EVERY OTHER DECIMAL POINT IN KOREAN CALCULATIONS SO THAT ANY BOMB DEVICE THEY WANT TO TEST, BLOWS UP ON THE LAUNCH PAD???? WE GET SO MANY THINGS DONE "PERFECTLY" BUT I KNOW MR MURPHY IS JUST LURKING ON THE SIDELINES-- COULD WE NOT EMPLOY HIS ASSISTANCE IN SOME OF THESE INTERNATIONAL PROBLEMS? WHAT I AM DANCING AROUND IS... AN ENTIRE ARMY WITH A GROSSLY IRRITATED BOWEL IS NOT GOING ANYWHERE. I think this is because Clark is way more helpful and reliable than most people are. For example, when I am opening a door slowly, I can't tell you the number of times people try to "help" me by grabbing the door and swinging it open quickly. Now, I am holding on to the door, so that throws me off balance and twists my hand...not helpful at all. But Clark waits patiently and helps brace me, going at my speed. Much more thoughtful and helpful. He watches, thinks, and learns, which is more than a lot of people do! And ultimately, he wants nothing more than a belly rub at the end of the day! I just returned “home” from my adventures. I’ll follow up with info about the Wisconsin State Patrol. It was really, really fun and they were both great groups, very appreciative. Met some K-9s, too! WRITTEN ON THE BACK OF A POO PICKER..
STUPIDIDTY IF LEFT UNTREATED WIL BE SELF CORRECTING. I am looking for Staci Woodruff and her companion dog Merle. We flew from Denver to Ct together. She asked me to look her up, but I am having a hard time. Can you pass along my contact info to her.XXXXXXXXXXXXXXXX. She is a wonderful person that I would love to keep in contact with. I KNOW I HAVE IT HERE SOMEWHERE--- BUT.....I AM ALSO AFRAID I WILL FORGET TO EVEN LOOK. IT IS GETTING SO BAD THAT THE ONLY WORDS I REMEMBER QUICKLY HAVE 4 LETTERS.. NO PROBLEM THERE. I HAVE TAKEN TO USING THE SIGN LANGUAGE HAND MOVEMENTS FOR "SH1T !" - AND I SEEM TO REMEMBER THAT. SO WE NEED NAME TAGS.... SORRY--- YOU MAY HAVE TO WEAR THEM ALL SUMMER. AND THE 2 WHO LOOK ALIKE.. SO I DO KNOW THEM-- BUT NAMES???? MAYBE I WOULD DO BETTER IF I NUMBERED THEM.. IN THE MEANTIME .... IT IS "HEY YOU"
I was just in the yard with Emmett, he was laying on the lawn, he looked quite comfy, so I sat down next to him. When I decided to get up I asked him to help and like a good boy he stood up and swung into position so I could stand. I haven't been able to sit on a lawn for a couple of years, but with Emmett I can enjoy sitting in the grass with him. LIKE THE RECIPIENT WHO WAS IN TEARS BECASUE SHE COULD FINALLY STEP UP TH E CURB TO GET OUT OF THE PARKING LOT AND INTO THE STORE. ONE OF MY EDINBURGH FRIENDS READS THIS DD AND SHE IS VERY ACCURATE.. SHE MAY GIVE ME THE EXACT CONVERSATION.... BUT THAT WAS THE GIST OF IT. A BUNCH OF CUT AND PASTES TO BAIL ME OUT TODAY.. I DON’T KNOW IF I CAN REMEMBER EVERYTHING THAT HAPPENED WITH THE FIREMEN TODAY. IT WAS AMAZING AND SO MUCH FUN. MY HUSBAND AND I DROVE INTO THEIR PARKING OUT AND BEFORE WE COULD GET OUT OF OUR CAR, ONE OF THE MEN, JAMIE, CAME OUT THE DOOR WITH A BIG SMILE AND SAID, “YOU ARE BACK” AND ANOTHER, DAVE, CAME OUT AND SAID, “IT’S THE 19TH – APPRECIATION DAY”. CHEESE CAKE FROM COSTCO'S THAT I DOCTORED UP WITH FRUIT. Hunter had a school show tonight that was 50s themed. Wendy even wore a scarf to be dressed up. It was his first time, out of PT, that he wore his short braces and he did great! He said he got his workout today since there was no formal therapy! The only bad thing that happened was that "the boy with the dane got taken out by a cane!" Hunter thought his brain had "malfunctioned" because he had no idea why he fell coming into the show and didn't find out until his teacher told him after the show. He was clipped in the ankles by someone's cane and down he went. "Good thing I was wearing my short braces because it's easier to stand up!" he said after the show. A little early posting today but I am sitting and relaxing. Gabi is finishing homework and Bella and George are watching a show on Netflix. All is good. This morning Bella had George outside to go to the bathroom one last time before school. I walked out and see Bella sitting in the tree. Then George spoted her and runs over to the rescue. Even though she said she didn't need to be rescued he was right there. She just looked so cute sitting there in the tree though. At school they had PARC testing. I walked with Bella down to her room for her testing. Bella doesn't do the testing in the room with everyone else because sometimes she needs to have someone do her writing for her when her hands get tired. She also is allowed extra time of she needs it and to have break times to stretch. So she goes into the room with George and Ms Kate. When they waked in George went right to his spot under the table without even being told. He knew the routine and did it. After the test they had extra time outside in the field. So they had a good day! Now they are already inbed. I JUST WANTED TO GIVE YOU AN UPDATE ON IVY AND HER PERFORMANCE AS A SERVICE DOG. I KNOW THAT DANES DON'T LIKE WATER, BUT I BELIEVE MY SERVICE DOG MAY BE AN EXCEPTION TO THAT RULE. HAHAHAHA. LAST NIGHT I HAD A VERY NASTY FALL IN THE SHOWER AND, AS USUAL, SHE WAS LAYING ON THE BATHROOM RUG. AS SOON AS I FELL, SHE WAS RIGHT THERE TO HELP ME GET UP AS I BRACED ON HER. SHE IS A SPECIAL GIRL. THANK YOU FOR IVY. SHE HOLDS A VERY SPECIAL PLACE IN MY HEART AND IN MY LIFE. I REALLY DON'T KNOW WHAT I WOULD DO WITHOUT HER. SHE BRINGS ME SUCH JOY EVERY DAY AND HER LOYALTY IS UNBELIEVABLE. I CANNOT SAY ENOUGH GOOD THINGS ABOUT HER. SHE IS MY LIFE PARTNER AND I HAVE YOU AND ALL THE TRAINERS TO THANK FOR THAT. happy 19th ! !---- time to cut the mustard... or was it bake the donuts??? i have tried to give a cake to TOPSFILED--- I HOPE THEY READ THIS- but THEY DON'T ANSWER THIRE DOORBELL SO I HAVE GIVEN UP ON THEM. IPSWICH IS VERY NICE BUT MILES AWAY.. GEROGETOWN HAS A NICE FUN GROUP AND DANVERS ( ON THE WAY) IS A FUN BUNCH.. IN AN EFFORT TO STAND UP STRAIGHTER, I AM BACK IN MY COWBOY BOOTS. THEY ARE THE MOST UNAPPRECIATED COMFORTABLE FOOT WEAR---- THEY DO RESULT IN BETTER POSTURE.. I THINK... THE HEEL IS ONLY ABOUT 1.75 INCHES---- BY ACTUAL MEASUREMENT.. AND THEY ARE COMFORTABLE... EVENTUALLY MEN GOT TO WEARING THEM IN DRESS SITUATIONS-- EVEN FORMAL... FOR A WHILE--- THEY MAY EVEN STILL-- I HAVE NOT STUDIED MENS FEET LATELY. I BOUGHT MINE FROM LUCHESE BOOTS IN TEXAS ( ?SAN ANTONIO?) THEY DO HAVE THE MOST EXOTIC BOOTS- ALLIGATOR HIDE -- SNAKE SKINS ---ETC --BEAUTIFULLY MADE-- SOME FOR $5000-- HOWEVER MINE ARE BEAUTIFULLY MADE OF GOATS SKIN- WHICH ARE EVERY BIT AS WELL MADE AND COMFORTABLE FOR ALOT LESS. I WONDER IF I COULD DEDUCT THEM AS MEDICAL DEVICES IF THEY IMPROVE MY POSTURE..? PULL ON... NO TIE... BEATS SLIDING AROUND IN THOSE SLIPPER THINGS THAT I DON'T HAVE TO TIE EITHER. AND THEY SOUND SO GOOD. I THINK I AM A FRUSTRATED TAP DANCER-- I DO LIKE TO MAKE NOISE WIHT MY FEET AS I TYPE.. BUT TAPPING REQUIRES SPEED AND I HAVE NEVER BEEN KNOW FOR SPEED OF MOTION OR THOUGHT-- FROM PING PONG TO MISERABLE CLARINET PLAYING I JUST DON'T HAVE IT. I TRIED VERY HARD TO PLAY THE PIANO-- I HAD TO TRY HARD-- MY MOTHER KEPT POUNDING AT ME WITH THAT "IF YOU'D ONLY TRY" NONSENSE. I DO APPRECIATE LEATHER-- EVER SINCE I REALLY GOT TO SEE THE DIFFERENCE SKILL MAKES WITH MY DONKEY HARNESS. i don't expect to hear from our lawyer about the building inspector for another few days... that being the case i think i will ask jeff masterson if he can get a big machine here to take the bumps out of our parking area-- i was going to use the equipment which would dig the foundation... but... who knows when that will happen..
and to all of you who are suggesting a trailer....it is certainly an option but not the sterility we really need. Instead of the cake this month I happened to be checking out of the market at the same time as one of the fire crews from the station down the street in Prescott, AZ I paid their bill over their protests and they were so grateful, even offered to help me unload my groceries. Great guys! And they were eating healthy too....chicken to grill and veges for salad, etc. maybe what i should do to be kind to my fire department is to NOT eat the cake myself-- and go on a diet so i would not be so heavy if they have to carry me down some ladder out of a third floor window. it is too late to remind you we have posters to give out with the "cake of the 19th" .... which are not really necessary except it explains that there is no real explination as to why we celebrate the 19th of the month .. except we ( at sdp) do. the writing on the wall i can see is the gop splitting trying to start another party, the democrats splitting more disorganized into a write- in campaign and all the computer gurus who screw up the electronic voting machines will b left with their chads hanging. as long as the guy who collects our trash is more reliable than that bunch , i will not worry. now .... i did get that book i talked about..." the specialist" about the building of an outhouse... - and that man had the cure for employees who spent too much time in there.. he cut all the holes square- so the users would tend to business and get back to cutting the hay..
Just an update on Merle. She is doing great! We have been to my corporate office for work a couple of times now and getting the full concierge treatment with wide handicap entrances, space to lay down, access to the entire building and her name included with mine on the door. A touch of gas (Merle not me) in the conference room.... that made everyone smile. Everyone has been very respectful and so has Merle. I wish everyone had this type of acknowledgement & support. the good and the bad-- the good--- jeff donated a newish golf cart basically for grace-- i have not seen it yet- but i am told it runs really really well. the bad is the building inspector has decided an infirmary is an expansion of SDP and therefore denied a building permit for the infirmary. 1. The driveway usage has nothing to do with the infirmary building. Because i don't want to park cars close to the barn ( fire hazard/gasoline) so that the cameras can enjoy the new baby donkey- i decided to use my other driveway and land for that purpose. the neighbors do not like the change. it is my land on which i have paid taxes for 38 years. totally legal. i had it surveyed to be certain of the lines. 2 This building is not a"significant expansion " as described by the building inspector. but a needed part of our existing operation. For many years Dr Myers has pointed out i really should have an isolation unit to prevent possible spread of diseases which are bound to occur in dogs that are out in society as our service dogs in training are. With huge effort we contained a parvo outbreak which might not have happened if we had the correct facility to isolate any pup with a temp. The wooden material of the rest of our kennels is not conducive to sterilization. To ignore that is irresponsible. 3. Both Mr Masterson and I were told by the building inspector there was no problem if we just got him a very basic set of drawings. which I ordered. As a town official we took him at his word. At this point we spent the charity's money- with the approval of the board of directors. He then denied issuing a permit. 4. 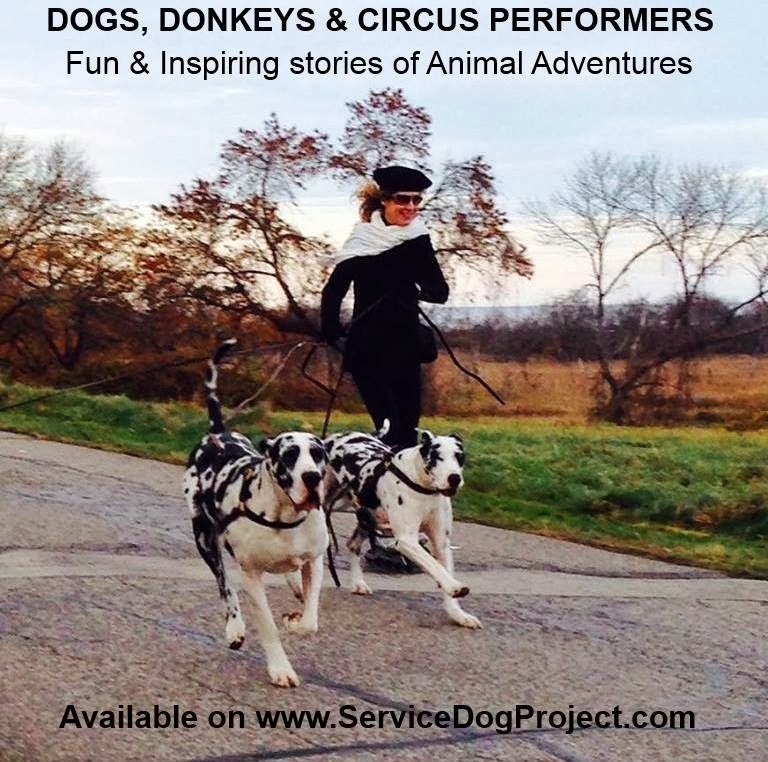 As a 501 C 3 charity Service Dog Projects donates these dogs to mobility patients. These are not pet dogs, but dogs who's lives and training fall under federal ADA rules. I know there are federal laws about the fact that a service dog or a service dog in training is not to be treated as a pet or companion by states and towns. We are fully accredited and inspected by the ADI organization. We are registered with the Attorney General and are recognized by the VA as donating certified dogs to veterans. Our dog "George" was awarded the #1 service dog in the country. how can you help?? find out all the ADA laws you can about service dogs in this situation.. i know there are some about they my not be taxed- what else does it say???? Last night, young Miss Ava Gardner attended her first symphony, Beethoven’s Ninth at the Zeiterion Theatre. With her petite and svelte figure, she was striking and with her matching hat and fur coat of spotted black and grey, heads turned when she entered the theatre. Designers may already be attempting to replicate the colors in faux fur in time for the fall. But what attracted many, were the impeccable manners of someone so young. Miss Gardner remained quiet throughout the concert and readily joined the standing ovation. The humorous note of the evening occurred before the concert began. A person sitting close to Miss Gardner reported that while Miss Gardner’s party was still getting settled and deciding who would sit in which seat, Miss Gardner stood up and inexplicably, the foot of her friend shot up in the air, over the back of Miss Gardner. The witness said that he kept waiting for more comedy, but there were no other incidents, except that Miss Gardner appeared bored and to be asleep at times. Heads continued to turn at intermission, as Miss Gardner and her friend were escorted by an efficient usher to a large, seemingly private, but handicapped accessible bathroom, while other female members of the audience waited in long lines to use the facilities. The smiling usher negotiated the crowded theatre and moved too quickly to allow Miss Gardner’s adoring fans from touching her. After the concert, the maestro, himself, Mr. David MacKenzie, came to Miss Gardner to express his admiration. An anonymous member of Miss Gardner’s staff stated the starlet had had such an exciting evening that she slept late this morning, before she and her friends went out for breakfast. BABY OWL IS AROUND... LAST NIGHT ON THE GUEST HOUSE JOINED BY A PARENT IN A TREE AND NOW... BOTH ARE HIGH IN ONE OF THE TREES------ JOHN ( AROUND THE CORNER ON 97) SAYS HE HAS 2-3 IN HIS BACK YARD. HE TOO BACKS UP TO WILLOWDALE FOREST... I SURE HOPE THAT IS WHERE THEY DO THEIR HUNTING, AND NOT IN THE HIGH RENT NEIGHBORHOOD WHICH GETS RID OF MICE WITH POISONS --- WHICH DIE OUT IN TH OPEN-- WHICH WE THINK MAY HAVE BEEN WHAT HAPPENED TO OUR SECOND OWL...IT WAS BIG AND STRONG AS THE OTHER. THE ONLY OTHER RUMOR I HAVE HEARD IS OWLS DON'T BREED IF THERE IS A SHORTAGE OF FOOD...NOW... SHALL I LEAVE THAT COMMENT RIGHT THERE??? LAST NIGHT I RAN INTO A NEW "FILLER" PROGRAM FOR CNN-- IT WAS SOOO INTERESTING I PUT IN BOTH MY HEARING AIDS... I AM TIRING OF THE GUY WHO EATS HIS WAY ROUND THE WORLD... THIS NEW GUY IS A HUGE AFFRIICAN AMERICAN MAN- STARTED OUT COMMEDIAN- AND BEGAN A REALITY STUDY OF ODD THINGS...LIKE AN HOUR INSIDE A PRIZON SYSTEM... A CROSS BURNING WITH THE KKK...WALKING THE BEAT WITH POLICE MEN IN PHILADELPHIA...DINNER WITH A SPANISH FAMILY IN LA---MEMORIBLE COMMENT FROM THAT ONE..."IF WE HAVE TO LEARN TO SPEAK ENGLISH TO COME TO THE STATES- THEN YOU ALL SHOUL D LEARN TO SPEAK SPANISH TO COME TO LA.... AFTER ALL IT ONCE WAS ALL MEXICO"
IT IS A DIFFERENT SORT OF REALITY SHOW. NOW I HAVE HEARD IT ALL W/R/T POLITICS--I GET EMAILS ALONG WITH GOP AND DEMOCRATIC ADS, I GET A DAILY EMAIL FROM "TEA PARTY POLITICS" SO I OPENED THE TEA PARTY EMAIL OUT OF CURIOSITY AND IT WAS ABOUT " HOW TO LOOSE BELLY FAT OVERNIGHT???" .WHICH BRINGS US BACK TO ... KEN ROBERTSON'S TED LECTURE... WHAT ARE WE PREPARING OUR CHILDREN TO DO? THEY CAN NOT ALL BE UNIVERSITY PROFESSORS. WHO IS GOING TO MILK THE COW AND GROW THE CORN??? WHICH BRINGS US BACK TO THE OWLS NOT HAVING CHILDREN UNLESS THERE IS AMPLE FOOD SUPPLY. OH THAT HUMANS HAD THAT MUCH SENSE. SPEAKING OF SENSE....AND FOREIGN POLICY--- I WAS ONCE HIRED BY THE GOV'T TO FIGURE OUT HOW I WOULD BOMB THE UNITIED STATES IF I WANTED TO...-- AND IT WOULD TAKE ONLY 5-6 BIG BOMBS DROPPED ON CALIFORNIA AND TEH FALLOUT PATERNS WOULD KILL OFF THE REST OF THE COUNTRY LEAVING THE BUILDINGS. ------TODAY, I HEAR ON THE TV ABOUT JAPAN AND KOREA SHOULD HAVE THEIR OWN BOMBS AND I HOPE SOMEONE POINTS OUT, THAT THE PEOPLE IN CALIFORNIA MIGHT HAVE MUCH MORE TROUBLE WITH THAT .. THAN CHINA. LUCKILY OUR GOV'T GAVE UP ON THAT PROJECT AND WENT BACK TO WORRYING ABOUT WHO PIDDLES IN WHAT REST ROOM. I RAN FOR THE PHONE TO LET DANVERS KNOW THEY WERE COMING WITH A BLOAT- ONLY TO FIND THE SURGON ON CALL WAS NOT "BLOAT QUALIFIED" AND WE MIGHT HAVE TO TAKE HER TO WOBURN-- THE TIME WAS THE WORST PART OF THAT... AS THE BLOAT BUILDS UP IT STARTS TO INTERFERE WITH OTHER ORGANS SO TIME IS CRITICAL.. I HAVE GEORGE'S CELL-- SO I STARTED TRYING TO FIND HIM... HE USUALY ANSWERS-- BUT DIDN'T-- SO I SAT BACK AND CALLED AGAIN-- THIS TIME HE WAS THERE... AT HOME ( IN THE SHOWER) IN DANVERS AND WOULD GO RIGHT OVER TO THE HOPSITAL- WHICH HE DID AND OPERATED IMMEDIATELY RELEIVING THE PRESSURE- HER STOMACH HAD ROTATED.AND SAID SHE SHOULD BE FINE...HE PROBABLY DID A "GASTROPLEXY" IN THE MEANTIME... HE WOULD KEEP HER OVERNIGHT SEDATED AND WE WILL SEE WHAT IS NEXT AS SOON AS HE GETS UP AND GOES OVER- I AM SURE HE WILL CALL OR EMAIL ME. WE WILL PROBABLY SET UP THE ICU IN THE SUN ROOM AND BRING HER HOME MID DAY--- THE QUICK ACTION OF THE 3 INTERNS COULD HAVE BEEN LIFE SAVING - AS WAS THE ABILITY OF GEORGE TO GET OUT OF THE SHOWER AND GO OPERATE WITHIN MINUTES. THAT IS THE FIRST BLAOAT WE HAVE HAD IN A VERY LONG TIME-- LAST I REMEMBER WAS A RESCUE DOG WE GOT FROM NEW YORK.. I HAD JUST... IN THE PAST WEEK NOTICED HOW EXCEPTIONALLY BROAD HER CHEST WAS AND HOW I SHOULD MAYBE CONSIDER BREEDING HER... OK... WAS IT GOLDIE WHO THEN INTERVENED AND SAID WIDE IS GOOD... EXCEPTIONALLY BROAD IS TROUBLE... GOOD SERVICE DOG NOW...- DON'T BREED HER. EXPERIENCE COMES FROM BAD EXPERIENCE. THERE WAS A GREAT STEAKHOUSE ACROSS FROM WHERE WE NOW LIVE... IT BURNED ONE NIGHT-- ALL BUT ONE CORNER- GONE.-- THE MAN WHO OWNED IT TORE DOWN THE CORNER TO REBUILD- AND FOUND HE COULD NOT BUILD.AND LOST HIS LIQUOR LICENSE.-- IF HE HAD LEFT THE CORNER AND BUILT AROUND IT, HE WOULD HAVE BEEN REMODELING AND BEEN FINE TO REPLACE THE CORNER LATER. PROJECTS AROUND HERE TEND TO OVERLAP-- WE NEED THE SOIL FROM THE NEW INFIRMARY TO IMPROVE THE RAMP INTO THE NEW PARKING AREA - WHICH WILL BE A GODSEND.. I LOVE HAVEING THE AREA BY THE T TENT AND FLAG OPEN WIHT MINIMAL CARS. SO THE BABY DONKEY AND MOM CAN GET OUT TO SOCIALIZE....MARK, BUD AND JEFF HAVE EQUIPMENT INTHE IR TRUCKS SO THEY CAN PARK THERE-- AND AS WITNESS YESTERDAY MINE SHOULD BE THERE BACKED IN LIKE THE FIRE DEPARTMENT.... FOR EMERGENCIES. MY CAR ALSO HAS A 911 CIGARETTE SIZE BUTTON WHICH SHOULD WORK ANYWHERE IN THE COUNTRY-- IT IS INTHE SUNGLASS HOLDER JUST BEHIND THE REAR VIEW MIRROR. The cottage we rented for many years in Canada had a two seater before they moved the plumbing inside. It backed up to another one and you could have quite pleasant conversations with the neighbor if you were in there for a while.